You Are Here: Home » about me » I Earned My Wings Today. Thanks for Being my Fans. I have not been feeling my best for a couple of months. Today, my symptoms hit a turning point. I could not catch my breath; my body shook with every effort to do so and I wheezed each time, in what sounded like a cross between a cry and a whimper. An ultrasound showed what my owners feared most — in addition to the large mass on my neck — there were masses in at least three of my liver lobes. My owners could not bear to see me in such discomfort, and so, with all three of them holding me close, I went to sleep for the last time. Thank you all for following me for the last 13 months. 10 Responses to I Earned My Wings Today. Thanks for Being my Fans. 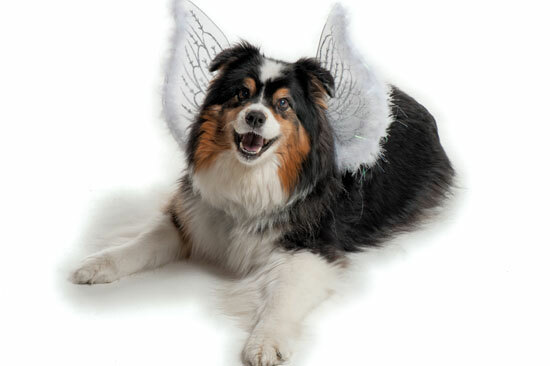 I believe with all my heart that Woofington is in heaven right now, keeping everyone happy with her antics. I will miss her warm body keeping my feet warm and her insistent barking to let me know that she wanted something that I had. I feel blessed to have known this wonderful dog for all of her life and I will miss her more than words can say. My heart will always have a place for this wonderful dog who always made my days a little happier with her presence. love you always woof. Jazzy made a significant contribution to my life and will surely be missed. It was a pleasure knowing such a smart, talented and adorable dog. Thank you, Tom, Rhonda, Carter and Roberta for keeping Jazzy so enthusiastic and loving. We were all so sad to hear about Jazzy yesterday, especially because we know how happy she made Tom, Rhonda, and Carter. 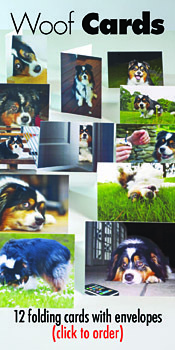 Long live Woofington; we all love you and will always think of you and smile. 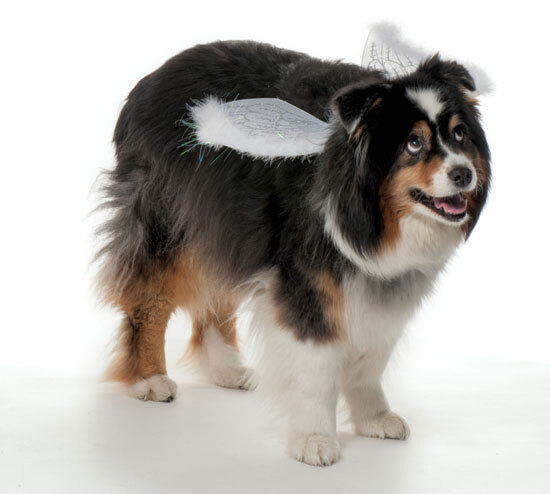 Naturally, Woofington looks mighty fine in her wings! I’ll miss jazzy FOREVER. She was the best dog. I loved the way she always made me feel better once I saw her 🙂 I LLLLOOOOOVVVVVEEEE you Jazzy!!!!!!!!! Will miss you Woofington! You were such a sweet and playful neighbor! Say woof to Sophie when you run in to her! May God Bless Jazzy’s beautiful Spirit!! I am not sure if my message about Jazzy came through. I was there when this special spirit came in our lives. I know she was surrounded with more love through her years than many dogs who lived many years longer. Good bye baby Jazzy.